Are you planning to visiIn the Indian Ocean, on the South East coast of Africa, there is a paradise island which is surrounded by coral reefs and natural lagoons, Mauritius. It’s romantic, passionate, mystical, magical and memorable, an experience engraved in your mind forever. Complete relaxation and personal intimacy can be found in Mauritius, uplifting the soul and romancing with your senses. The warm romantic scenery and spectacular nature of Mauritius provide a fabulous setting for a quiet romantic wedding and honeymoon. Mauritius has long been established as a wedding and honeymoon destination and is among the top three for weddings abroad. As well as its incredible natural beauty, Mauritius has some of the best and most luxurious hotels which offer excellent service and facilities in a stunning, sun-drenched background – where your tropical wedding that you always dreamed of can take place. 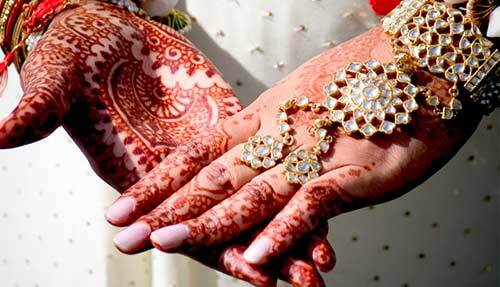 Weddings in India are truly superb events. Now take Indians out of India and place them in Mauritius, what will happen? They will make everything even grander than 'at home', because the diaspora has ties, customs and traditions it maintains with the homeland. Yes, in Mauritius weddings can also be celebrated magnificently, and the fun and closeness of our relatives are quite similar to our other Indian counterparts. As weddings in Mauritius are becoming more popular, there has been an increased demand from couples to have a religious wedding. In Mauritius you will have the selection of the most beautiful and unique churches for you to get married in, and which are also convenient for either small or large group of guests. Whether it is an intimate or a grand affair, you, your friends and family will be amazed with the stunning views and warm tropical breeze of our tropical island. Mauritius’s beachside venue is positively an idyllic setting for your special day. 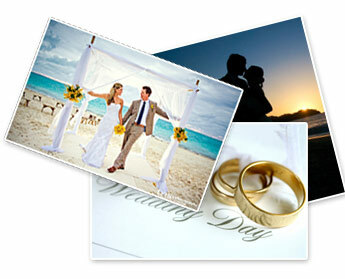 Arrive on Mauritius for your dream wedding on the unspoilt white sandy beaches where you can say “I Do”. You will have beautiful crystal clear blue calm lagoons to bathe and the heartfelt affection Mauritians have for lovers. 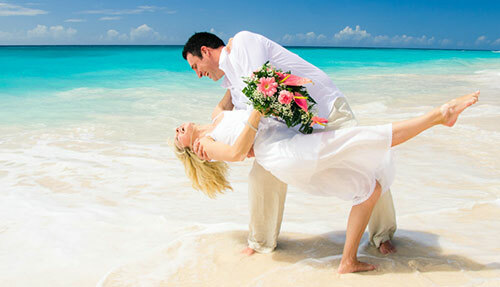 It all confirms that you have made the right choice for an idyllic place for the most romantic occasion of your life. 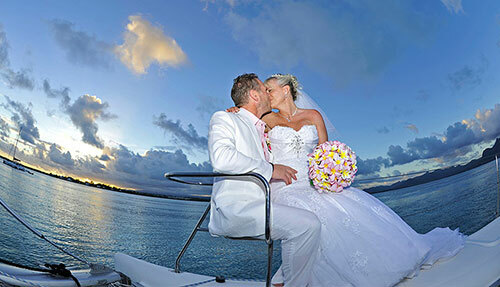 What could be more romantic than a wedding on an elegant catamaran? 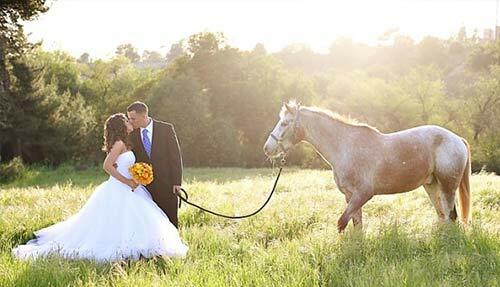 Exhilarating and romantic, this is truly a one-of-a-kind wedding. Sail along the warm Mauritian lagoon, on our beautiful catamarans, enjoying the scenic coastline of Mauritius. Hire a private catamaran exclusively for your wedding where you can exchange your vows in front of your most intimate friends and family then set sail to celebrate your new life as a married couple! This is quite possibly the most unique wedding experience ever! 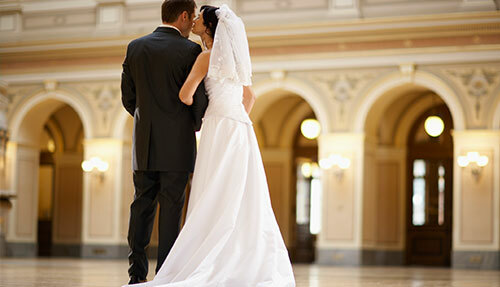 Marvel at another world while making vows to share your lives together. Make your wedding unique with a ceremony in the tranquil yet colourful waters of Mauritius. 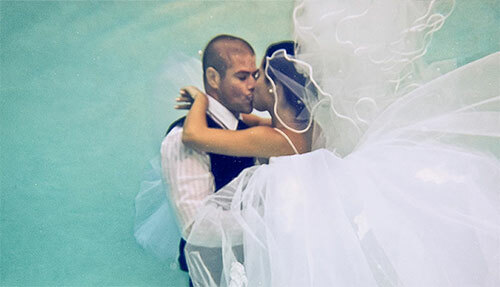 Enjoy unique and special ways to celebrate your wedding with either our submarine or undersea walk. Because a wedding in nature is perfect! 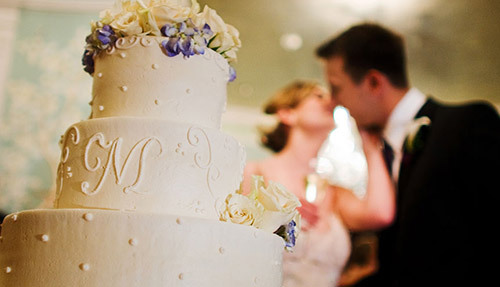 They say Weddings are made in Heaven, so why not make it an exotic lifetime affair. How about a ceremony outdoors; surrounded by nature in the gorgeous, majestic beautiful mountains of Mauritius?